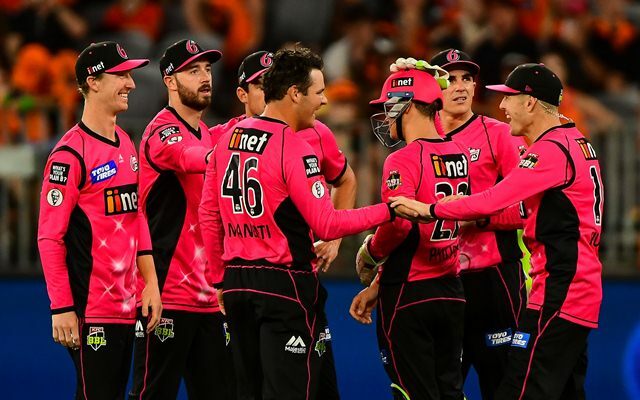 Sydney Sixers take on cross-city rivals Sydney Thunder in match number 49 of the BBL. While the former occupies the third spot on the points table, the latter sits at number five. With three back-to-back wins, the Sixers are experiencing a rich vein of form. They just need one victory to cement their spot in the semi-finals and Moises Henriques will be desperate to seal the deal in this fixture. On the other hand, Sydney Thunder has been inconsistent in the tournament thus far. A loss would mean that they’d have to pack their bags. With just five victories in the tournament, a fifth position on the grid isn’t an ideal situation to be in towards the business end of the league. What makes this fixture interesting is that regardless of who loses, the Sydney crowd with be cheering the loudest. Dan Hughes, Josh Philippe, Moises Henriques (C), Jordan Silk, James Vince, Sean Abbott, Tom Curran, Steve O’Keefe, Ben Dwarshuis, Lloyd Pope and Ben Manenti. We don’t expect the Sixers to make any changes to their squad and they’re likely to play the same side that met Adelaide. They are the favourites in this challenge and have every chance of coming out on top. Also, Daniel Hughes can be your captain. 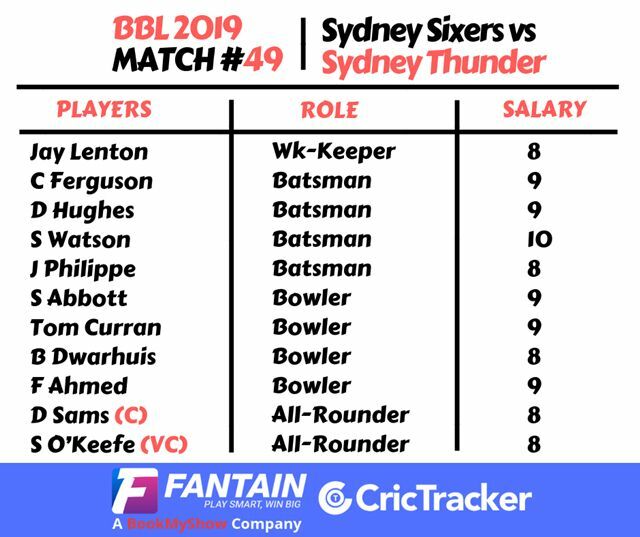 Anton Devcich, Shane Watson (C), Jason Sangha, Chris Green, Callum Ferguson, Baxter Holt (WK), Daniel Sams, Chris Jordan, Fawad Ahmed, Jono Cook and Gurinder Sandhu. Again, we don’t foresee changes in this team either but an extra batsman could be crucial to the team in reaching the semi-finals.